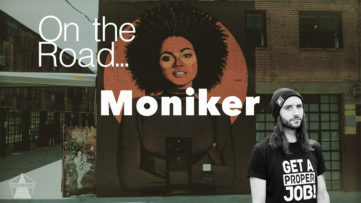 Moniker Art Fair, the world’s largest urban art fair, is coming back to London for its 10th strong edition. 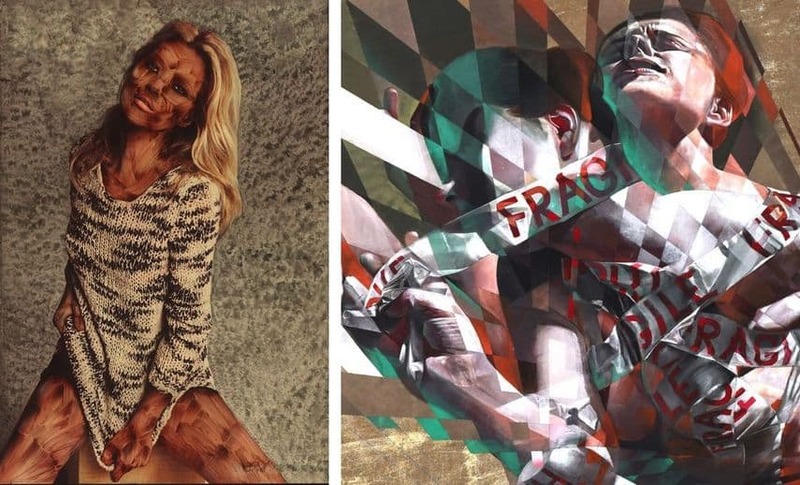 The fair, which has firmly established itself as London’s premier event for contemporary art, with its roots embedded in urban culture, will bring a line-up which reflects the new developments in urban art and sees an increasing fusion with fine art. Working under the annual theme Uncensored, Moniker 2018 presents an eclectic host of globally-acclaimed names, including a much higher number of traditional contemporary artists. For the first time ever, Moniker has teamed up with Urban Nation Museum to present the strongest line-up of urban contemporary artists within its installation hall. 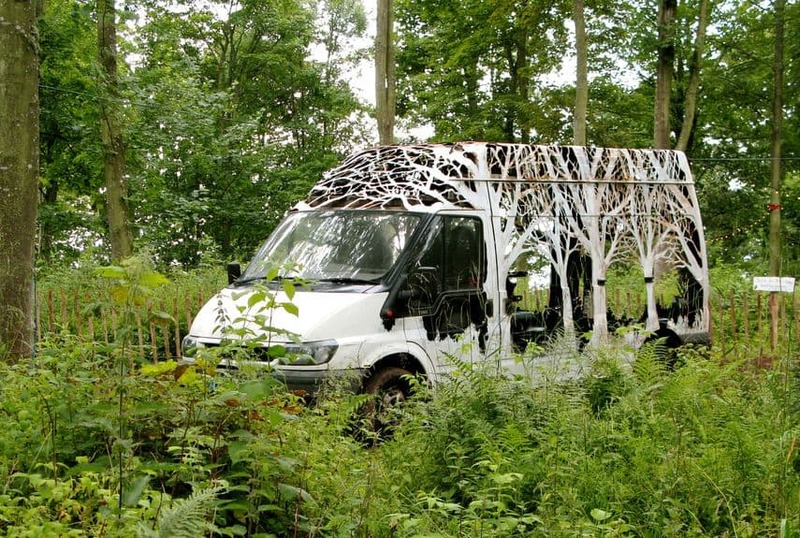 As part of this collaboration, the Fair will present installations focusing on social, economic and ecological injustices, providing a platform for voices that are trying to bring about change. The invited artists will create original works which will be on view at the Fair’s installation hall. 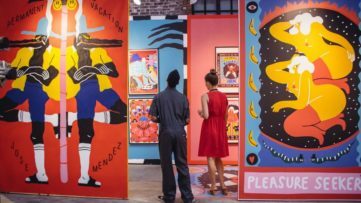 We had a chat with Tina Ziegler, the Fair Director and Yasha Young, the Urban Nation Director, about the just-opened Moniker Art Fair. In an exclusive Widewalls interview, Tina and Yasha discuss their collaboration, this year’s annual theme, participating artists, the present and future of the movement, and much more. 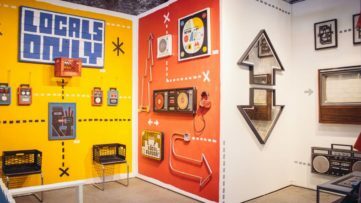 Widewalls: The 2018 edition of Moniker Art Fair in London sees the first ever collaboration with Urban Nation Museum. How did this collaboration come about and what does it mean for both institutions? Tina Ziegler: Urban Nation have come in as co-curators for our installations this year, which has had no small effect on the artists you’ll see when you walk through the doors. Our combined knowledge of – and relationships with – urban contemporary artists has made for one of the most eclectic lineups a Moniker fair has ever had. We’re a very strongly curated event, and were particularly proud to have UN come on board for this year. Yasha Young: Miss Ziegler and I know each other for a long time. I knew her before Moniker and she met me when I ran my three galleries in London NY and Berlin. Once I was the director of the Art Fair in Cologne and she brought Moniker to life it was natural that we kept running into each other. But above all is that our collaboration is perfectly in line with what I envision for Urban Nation. We support the infrastructure of a genre from a gallery to an artist to an art fair and hence when Miss Ziegler asked if we would like to support her it was an absolute pleasure. Urban Nation wants all sectors of the community dedicated to Street Art and Urban art to thrive internationally so this, for us, is a perfect way to again show that we work all over the world with representatives of all parts of the infrastructure that supports UCA. Widewalls: What is the vision behind this year’s annual theme UNCENSORED? TZ: UNCENSORED as an overall concept is something we’ve been working towards for a while now. We’re proud of how recognized and applauded the urban art scene has become over the last decade, but it’s vitally important to make sure that that acclaim doesn’t come at the expense of the underlying messages that pioneering artists work so hard to put over – there’s a lot going on in the world that doesn’t sit right with those who care about equality, our global society, our ecological failings, and it matters dearly to me that we give a platform to those trying to take a stand against that. We’ve always been more than an art fair and I think part of that is throwing our support behind artists who want to bring about change and draw attention to injustices of all kinds. YY: Our UNCENSORED program runs as part of Urban Nations “UN -word” artist speaker series where we offer the opportunity to artists to speak about their career and their work, as well as show works in progress. Much like the old critique salon sessions amongst peers, guests and critics etc. It’s meant to be able to address issues in the art world or subjects the work deals with on a straight up and open level in a safe place. This meant for my curation to give space to artists that want to move something with their work. So the focus on this installation room as I call it are matters of early childhood abandonment and the misplacement of refugee kids, animal rights and the devouring of nature by corporations regardless the consequences, education and the much-needed change of the way we teach and we treat those who teach the future generations who will inherit the planet and last but not least the effects digitalization has on one’s own imagination. Can we still dream up our own individual ideas and are we really living the dream or are we lost in dreams that are not even ours but manufactured by corporations? We hope to make the viewer think and stop for a moment and feel the art. Get close up and personal with art and artist. 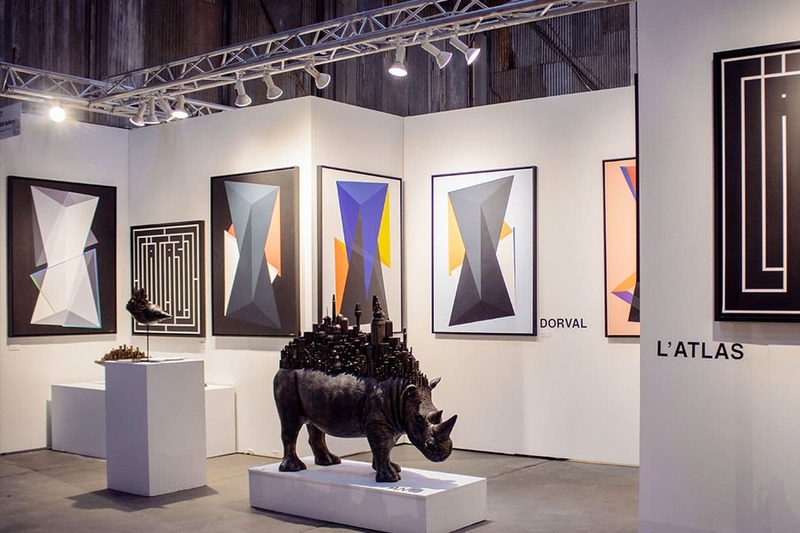 Widewalls: Could you tell us something about the participating artists in the installation hall of the Fair? What was the selection criteria? TZ: This has been a 100% curated fair – invite only, hand picked, no buy-ins. That’s vital. That’s what Moniker is now and it’s the reason we’re received so well each year. We’ve worked so hard to curate every single aspect from the moment you walk into the moment you leave, everything from the entrance halls to the bars have been designed in collaboration with artists, creating one-off moments for the event. I think that marks us out as something particularly immersive, particularly interactive. Not only will a lot of guests be exposed to some of these artists for the first time, but they’ll also walk inside their art, inside their “open studio” spaces we invite our exhibitors to build. And of course that’s alongside some of the world’s best urban galleries – we’re as much a festival as a fair and you experience a bit of both. YY: I selected the artists based on their current body of work and what the focus was given what we wanted to achieve with UNCENSORED. Herakut (Germany) and LiHill (Canada) just participated in the first ever Urban Nation residency program I implemented just a week ago. Eleven residencies are funded and supported by the museum under my mentorship and selected by an international jury I spearhead and that changes every year. So the goal was to show that the intent of the residency can also be to prepare work for a month and premier it at a venue such as Moniker. 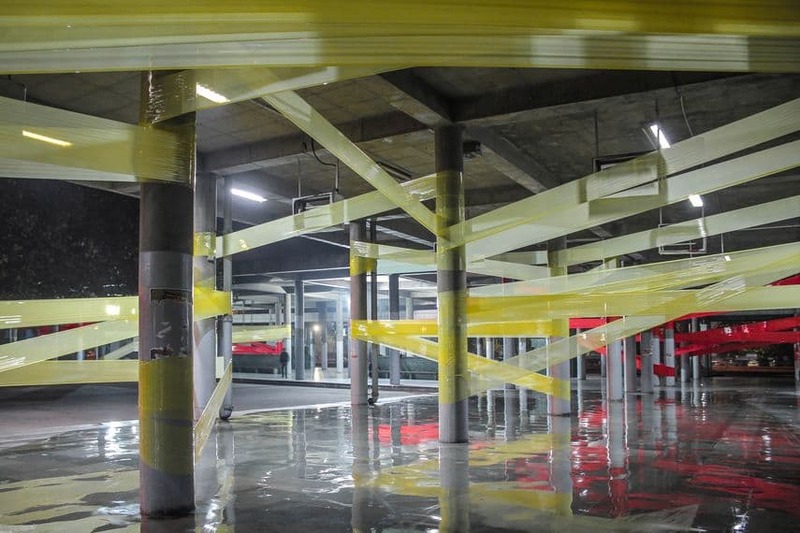 Artists worked relentlessly on preparing their installations for London in Berlin, supported by our infrastructure which included travel and material as well as transport and on-site build up support. A great way to learn and use the residency program the right way with two artists that think outside the box and consistently rethink themselves and the work they display. I collected Ann Lewis unknowingly when I picked up a piece of her “art tape” from the ground that she had wrapped around building sites in my neighborhood in Brooklyn. It said ‘ Gentrification in progress’. I did research and met the artist virtually. After that Ann Lewis and I had the chance to get to know each other when I invited her to participate in our speaker program during Art Basel / Basel and it became pretty clear that we would work together on a project in the future as we share a lot of the same values and ideas when it comes to installation art and the power of art to implement change. Miss Lewis is an important creative voice in the world of public and conceptual activism art. She is a dedicated human rights activist and fights for environmental protection. All things UN stands and fights for as well. David Mesguiche to me is not only an incredible sculptor that brings together fragile subject matters in a very strong display he also is one of the few artists I know that will always push boundaries of what is possible for sculptures and work in the public space. We are working on a huge installation for Berlin and it was wonderful to be able, during this process, to take a quick detour to London and to be able to bring his work here and show the process and detail close up to the viewer in an intimate setting. 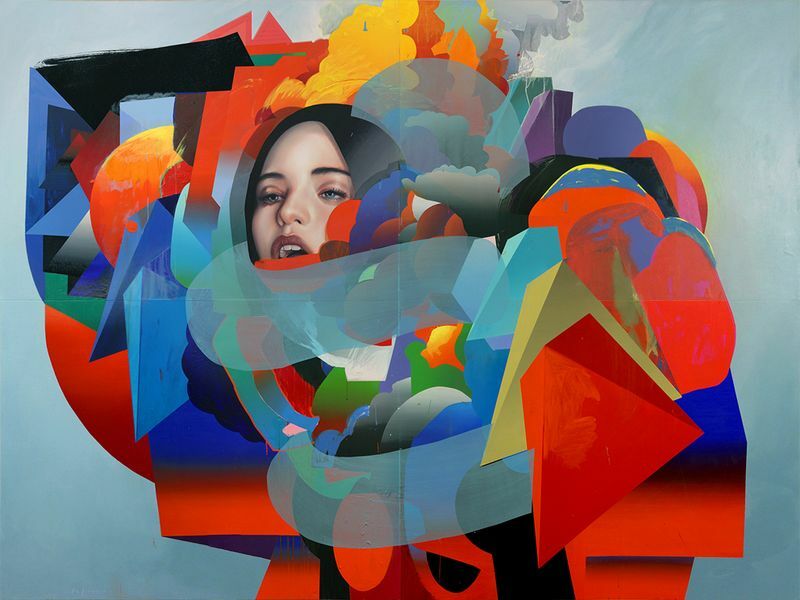 Widewalls: You have both been a driving force in the Urban Art scene for many years. What has changed in the meantime and what has stayed the same? How do you see the present and future of the movement? TZ: I think our UNCENSORED theme touches on what has thankfully stayed the same in the scene: the love of the art and the passion behind the message. Every year the scene offers up new heroes tackling the big (and small) challenges of the world’s society, economy and ecology. They care deeply, and they put that love into their art. I suppose the biggest change is how that’s now being received. Increasingly, people ‘get it’. They’re showing up to appreciate the work for its message and for its aesthetics simultaneously. They’re collecting for both of those reasons too, forming connections with the pieces and the artists, and that embracement of a scene that is an incredibly broad church is fantastic. It’s hard to think of a cultural movement that has more disparate ideas and styles than urban contemporary art, and yet the sense of collaboration and community is what ties it all together. YY: What has changed is the way we see the art via digital evolution and the market for sales and galleries has changed as well. Those are the main focus points I personally am observing. I think it is phenomenal on how much attention we can generate with social media and how we are able to see the work of artists from all over the world instantly and follow careers. But I also see the change in the quality of the work. Sometimes it seems work gets put up to see the effect on social media before it even had the chance to breathe or be finished. And if the work isn’t an instant success it gets all too fast discarded. I think we have to be careful not to place too much weight onto the digital output and preserve the artistic process with all facets from failure to success as it all plays an important part. We need to make art and respect art for art sake, not for output or reception. I also think the rush and enormous output of festivals and on the streets is something we need to take a closer look at. Artists, especially in the early stages of their career, travel almost 7-8 month of the year around the world painting one wall after the other. Exhausted but aware of the need for output as a tool for relevance and often driven by the money that is now a factor in the scene which is understandable I see the machine rolling consuming not only the art but also the artist. Sometimes this pattern can end a career and this is the most unfortunate side effect of all this wonderful and amazing opportunities that are now given to this scene or genre. Market and trade of art is another big factor of change. The prices we achieve now are amazing and the demand for UCA enormous. 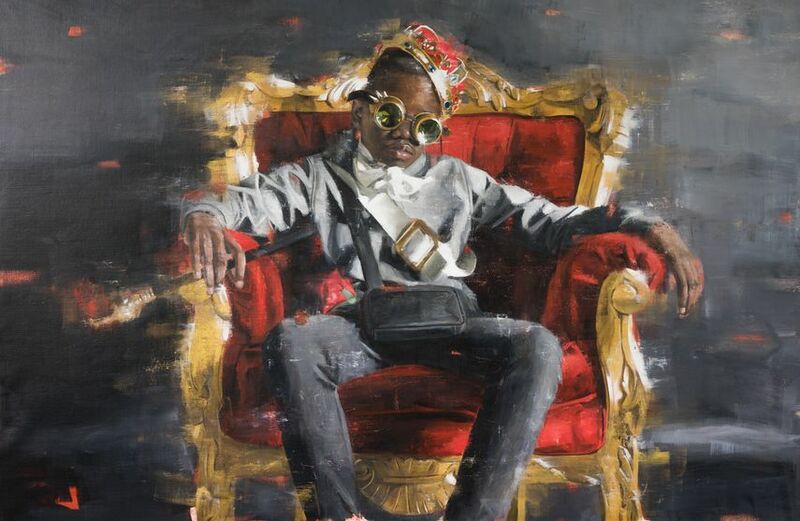 It is brilliant we are able to see some of these super talented next-gen artists make their way into the blue-chip world or the traditional art world. But the prices we see now are somewhat worrisome compared to the factors of the traditional market math. I sometimes wonder if this will be sustainable. I think we need to offer opportunities to young artists to understand pricing and trade meaning art as a commodity an investment as well as help them understand the professional structure of dealers, managers and gallerists not to speak of contract negotiation and tax laws etc. We should give tools and knowledge to those who want them to be able to navigate these sometimes murky waters well equipped. Apart from all that doom (laughs), I think visibility, integration into the traditional art world and huge commercial successes are at an all-time high and this is a very special time to be working and living as an artist. Widewalls: How do you see the collaboration between Moniker and Urban Nation Museum evolve in the future? TZ: It’s inevitable that we’ll be working together increasingly: Urban Nation is for me an incredibly big step forward for the scene, legitimising the reverence of the work, keeping the history of it alive and creating a permanent space for the movement. Moniker’s efforts to bring the world’s attention to urban art are intertwined directly with UN’s mission, so I think it’s safe to say you’ll see big things from the two of us together. YY: There are so many options! I could see this being a long-term partnership as well as I could envision to host Moniker at the UN in Berlin. I am sure Miss Ziegler has some fantastic ideas herself and we will surely sit down after this hectic art fair time and discuss options for the both of us where ever that may be… London… NYC… Berlin… Miami… who knows, but it is altogether very exciting. Featured image: Moniker Art Fair, 2017. All images courtesy of Moniker Art Fair.